Due to the huge buying power at Leisure World, we are able to pass on big savings across our new accessories, awning and tent collections. Now is the best time to bag yourself a cracking deal in our awnings and accessories sale. 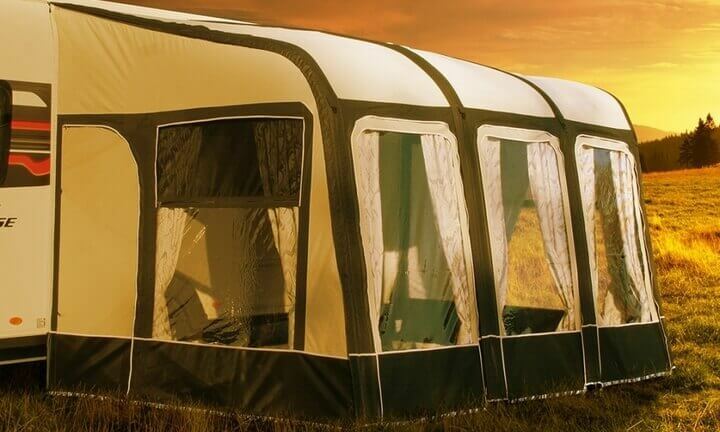 Plus, we have a big selection of used awnings available, all at clearance prices. All products listed are available whilst stocks last - please call or enquire about availability before travelling! 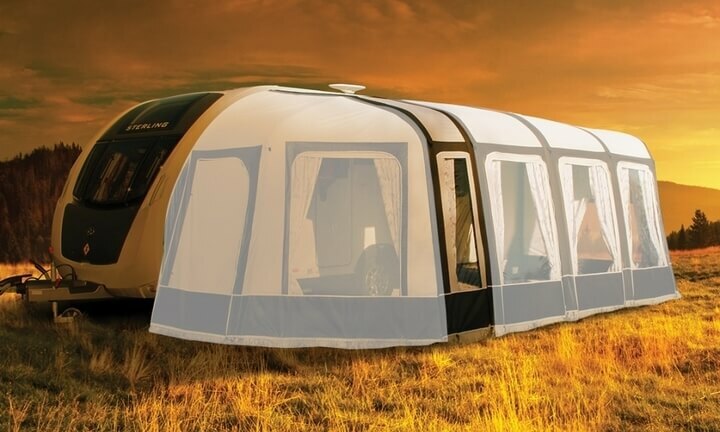 The smallest of the two porches with a 260cm base, the Modul-AiR 260 can be combined with all four extensions to create the awning size you require for your leisure vehicle. Our friendly and helpful team is happy to discuss your requirements and help you to find the perfect combination for your caravan needs. 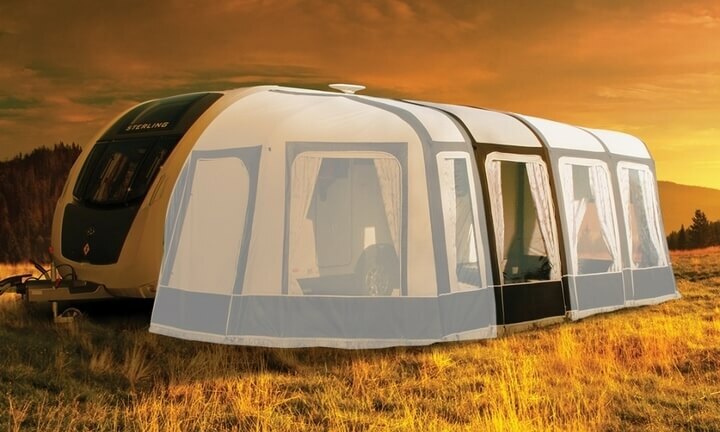 The Modul-AiR features air inflation to get your awning up in no time and prevent wasted time! The larger of the two porches, the Modul-AiR 390cm base can also be combined with all four extensions to create the size required for your leisure vehicle. Call us or visit one of our sites to discuss your requirements with our team, and they will happily help you to find the ideal combination for your needs. The Modul-AiR 390 boasts air inflation technology, to make pitching your porch awning easy, quick and hassle free. 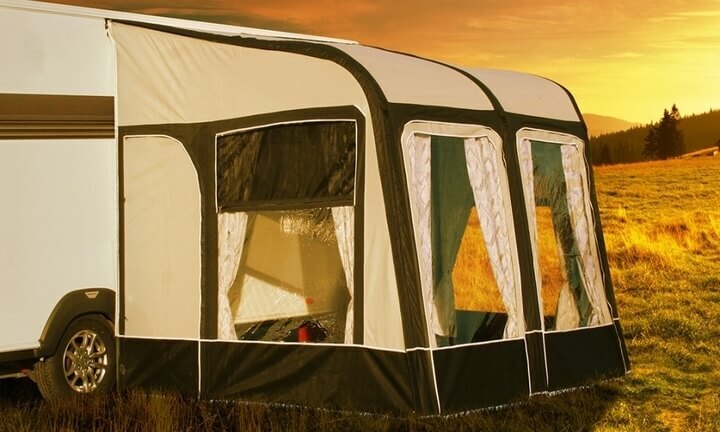 The Modul-AiR 65cm extension can be combined with the Modul-AiR bases to create more space in your awning, perfect for storing outdoors equipment, muddy boots or just an additional area to kick back and relax after a day of exploring. Combine the Modul-AiR 90cm extension with either of the Modul-AiR bases and open up a whole new level of luxurious outdoor space, ready to be used however and whenever you desire. Perfect for families or couples who enjoy the feel of their own space, the Modul-AiR 130cm extension is the second largest of the Modul-Air add-ons and delivers a comfortable, dry and enjoyable outdoor space for storage or family living. The Modul-AiR 305cm extension is the largest of the add-ons and the only front facing extension for the Modul-AiR bases. This creates a larger, panoramic front window for your awning, delivering elegance and luxury for family members and guests. 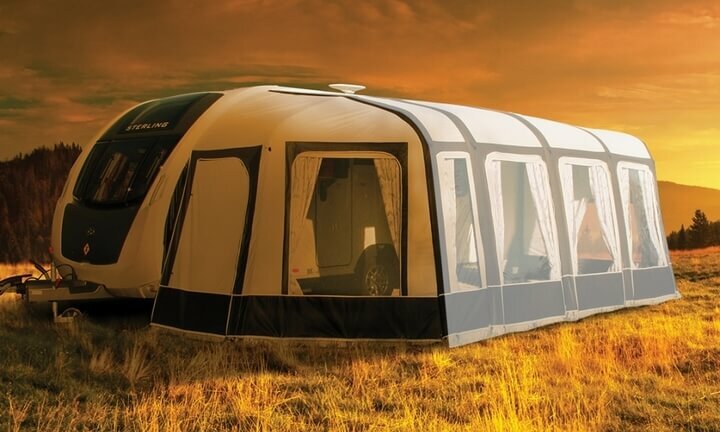 The Modul-AiR Annexe allows for extra space much like the extensions, however with the Annexe you can discuss with us here at Leisure World for a sleeping inner tent, allowing more guests when travelling. If friends are always dropping in for surprise visits, or the kids want a little bit more privacy, call or visit one of our showrooms today. 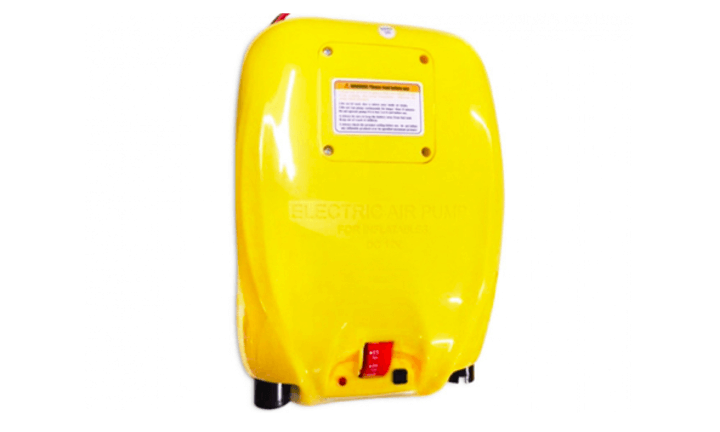 The electric air pump allows for easy awning inflation, getting your awning fully set up in record time. 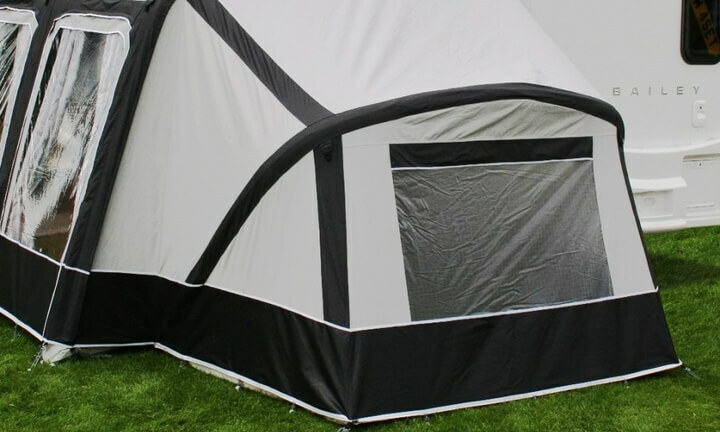 This allows you and the family to get to the fun activities quicker without the hassle that comes with manually setting up awnings.